Anaheim Elementary School District recognizes the important role that nonprofit organizations play in providing educational and cultural programs for District students during non-school hours. Anaheim Elementary School District allows nonprofit, charitable, or civic organizations to distribute information to students and families. All materials must be approved by the District and receive an approval stamp. Materials from for-profit companies do not qualify. Flyers are reviewed on Tuesdays by the Communications & Public Information Department. Please allow a minimum of two weeks for processing. Please see Important Dates to Follow for the 2018-19 submission timeline. The Flyer Distribution Request Form is provided in a fillable format, however, you may choose to print the blank form, complete, scan, and attach to your submission email. Please provide your materials in one of the following file formats: PDF, JPEG, Microsoft Word, or Microsoft Publisher. Flyer that includes the required disclaimer statement. Electronic submission is preferred. As an alternative, the documents may be turned in to the District Office front reception desk. Please note: An updated Flyer Distribution Request Form is required each time your organization submits a flyer approval request. There will be no multiple distributions of the same flyer. Duplication and delivery of the approved flyers, bundled by student count, is the responsibility of the organization requesting permission to distribute. Distribution/bundling instructions and enrollment/location information is provided upon approval of the flyer submission. Flyers are carried home by students once-a-week. 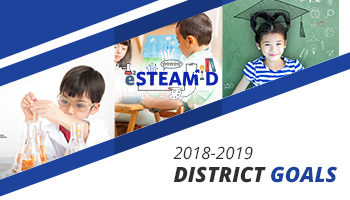 For the 2018-19 school year, the school sites will begin accepting flyers for distribution on Monday, August 20, 2018. No materials will be processed for approval or distribution from December 5, 2018, through January 7, 2019. We ask that flyers are not distributed to the school sites the week prior to winter break, as that is a particularly busy time of the year. Single-Track sites will be closed and unable to receive flyers for distribution from Friday, April 19 through Friday, April 26, 2019. Last date to submit a flyer for approval during the 2018-19 school year: Tuesday, May 21, 2019. Consideration to allow banners or posters for display is a site-level decision. Banners and posters must meet the same criteria as flyers to be considered for display at a school site. The site Principal is under no obligation to approve a request. Each individual school may approve or deny a request based on its own guidelines and practices. The District does not approve promotional materials targeted at teachers and staff. The site Principal or Department Head is under no obligation to approve a request to allow distribution of flyers to staff or to allow for placement in staff lounges. Each individual school may approve or deny a request based on its own guidelines and practices.